Jack Rogers sandals are so much fun in the Summer months! They come in so many different bright, happy colors and styles. I really couldn’t get away with wearing them in the office, as they’re not really considered “work attire,” but now that I am a SAHM, they’re perfect. They’re chic enough for a date night, if you aren’t in the mood for wearing heels, and practical enough for everyday errands, chasing a toddler, play dates, etc. I love the fact that you can monogram a few of their styles, and more importantly they offer different width(s) sizes. I have extremely narrow feet, so my Mom is always after me (for good reason) to wear something that “truly fits” my feet. I totally agree with her, but finding a narrow width is hard. Ok, I’ll be honest, at least it’s hard when trying to find a “cute,” narrow shoe/sandal. Well, Mom, you’d be proud, I found them. Below are a few of my favorites for Summer. 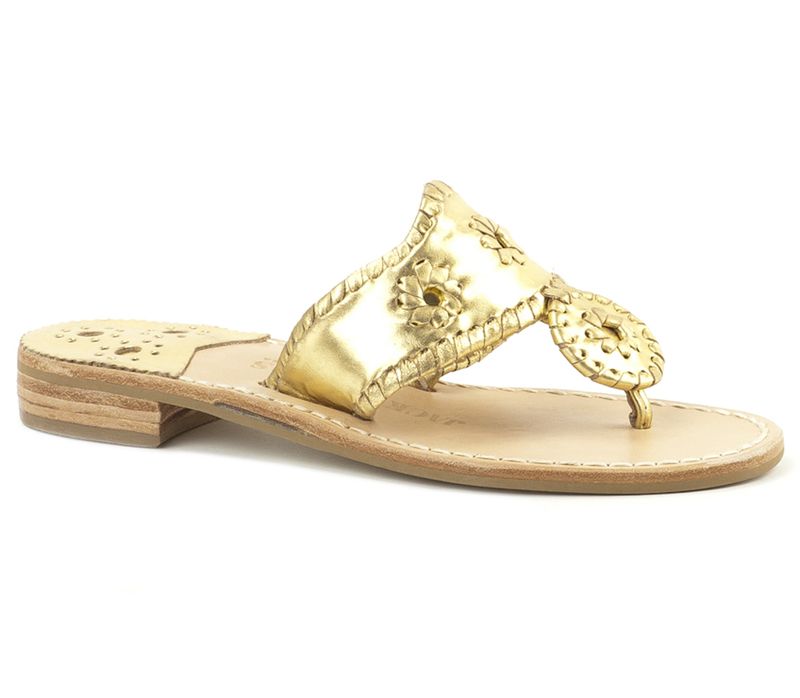 What are your favorite Jack Rogers styles this Summer?